Well, we are nearing the end of a great 2018. A very busy year for us attending lots of shows and checking out all the cars. We are already looking forward to the 2019 show season! 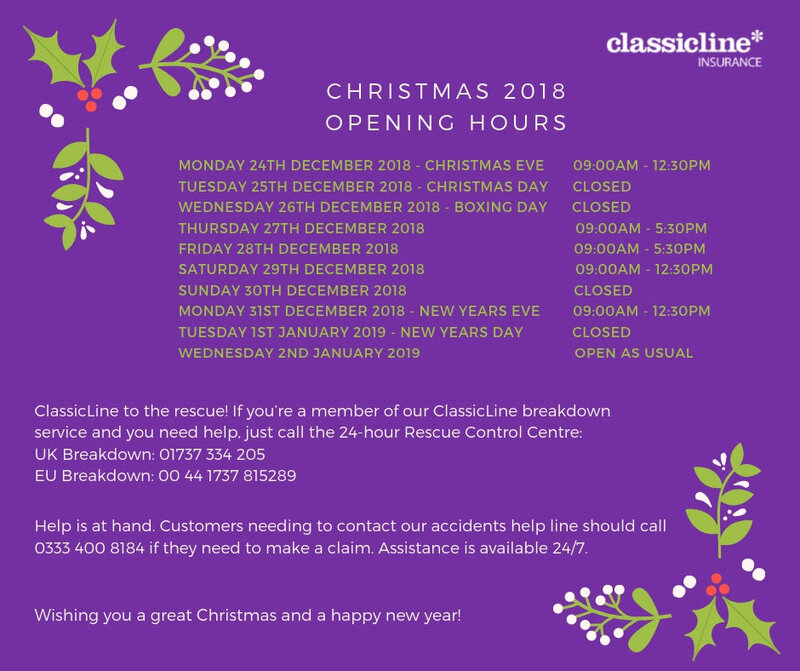 Before we sign off for the year, we want to share a couple of recent features with you as well as our Christmas opening hours. Don’t forget that the recovery and assistance lines are open 24/7 and can be contacted on the numbers below. As Christmas is almost upon us, for many their attentions will turn to the garage. Whether you are making a start on a project or declaring your car as SORN for some much-needed maintenance, take a look at our top tips for insuring your car under a laid-up policy. Our Spotlight On: Car Club of the Month series has proved really popular this year! The current club is the Slackers Hot Rod Club…you can check it out here. We were also delighted to run an exclusive on the home coming of the 1932 Ford Coupe de Grace - 2019 just got even more exciting! We would like to wish all our customers a very happy Christmas and a great new year!